The International Day Against Homophobia, Biphobia, and Transphobia (IDAHOT) takes place each year on 17 May. In 2017, the global focus theme is FAMILIES. This theme calls attention to the various roles families have in uplifting the well-being of their LGBTQI members, as well as the rights of LGBTQI families (rainbow families). How we view ‘family’ has drastically altered over the past few years. Today, regardless of different legal, political and social circumstances around the world, the exciting increase in the number of lesbian, gay, bisexual, trans, queer and intersex (LGBTQI) families choosing to raise children is a global phenomenon.This may very well be the transition period towards a more equal world. As we reflect on these changes, how should we imagine - and create - the future we want for our families? How can we work to create a supportive and accepting narrative to counter conservative homophobic and transphobic “family values” arguments? With these questions in mind, we explore and celebrate the theme of ‘family’ in this years’ YCSRR IDAHOT Watchdog by asking young people what the word family means to them. 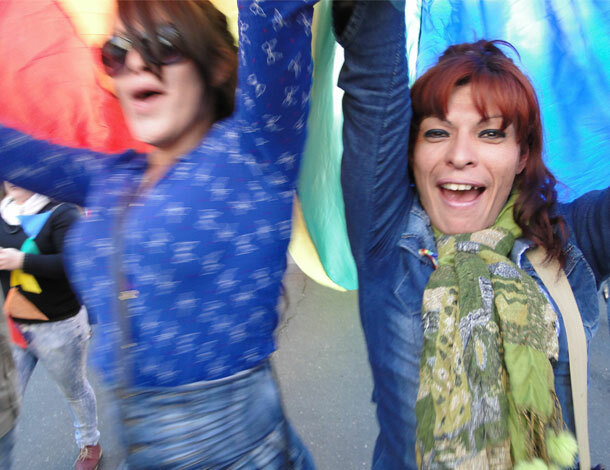 We are proud to publish submissions from seven countries - India, the Philippines, Poland, Romania, Malawi, Pakistan, and Northern Ireland - by young people who are raising their voices for LGBTQI rights and celebrating diverse families! The Youth Coalition call on everyone to take action to celebrate and support diverse families!